James Cleveland “Jesse” Owens born September 12, 1913, was an African-American track and field athlete and four-time Olympic gold medalist in the 1936 Games. Owens specialized in the sprints and long jump. He was recognised as “The greatest and most famous athlete in track and field history”. He set three world records and tied another, all in less than an hour in 1935, a feat that has never been equaled and has been called “the greatest 45 minutes ever in sport”.He achieved international fame at the 1936 Summer Olympics in Berlin, Germany. 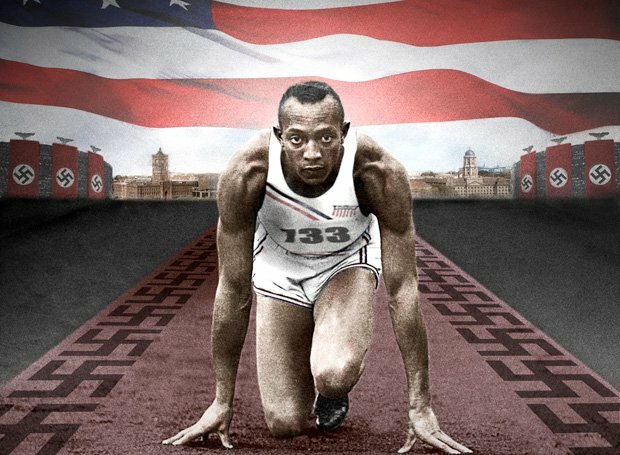 Jesse did not meet all his successes without challenges, more than 70 years after Abraham Lincoln had declared emancipation of the slaves, American society was still rife with racial discrimination, Owens had experienced this reality all his life, from his impoverished Alabama childhood to his growing success as an athlete in university. Though he was the first black captain of the Ohio State University athletics team, he had to live off campus, shower separately, eat at designated black-only restaurants and stay in black-only hotels while traveling. But despite the various challenges faced, he was determined to never let up. He took up different jobs in his spare time, he delivered groceries, loaded freight cars and worked in a shoe repair shop.During this period, Owens realized that he had a passion for running. Since Owens worked in a shoe repair shop after school, Riley (his junior high school track coach) allowed him to practice before school instead. On December 4, 1935, NAACP Secretary Walter Francis White wrote a letter to Owens, trying to dissuade Owens from taking part in the Olympics on the grounds that an African-American should not promote a racist regime. He participated at the Olympics, winning four gold medals: 100 meters, 200 meters, long jump, and 4 × 100-meter relays. He was the most successful athlete at the Games. On his return, there was no invitation to the White House to shake hands with the President. That honor was reserved for white Olympians. Owens even had to attend a non-presidential reception in his honor. In his memory, the dormitory that Owens occupied during the Berlin Olympics has been fully restored into a living museum, with pictures of his accomplishments at the games. During a time of deep-rooted segregation, he affirmed that individual excellence, rather than race or national origin, distinguishes one man from another.